MeetNotes now integrates with Trello and allows syncing your action items to trello boards. Here is how it works. Start by navigating to your applications settings. 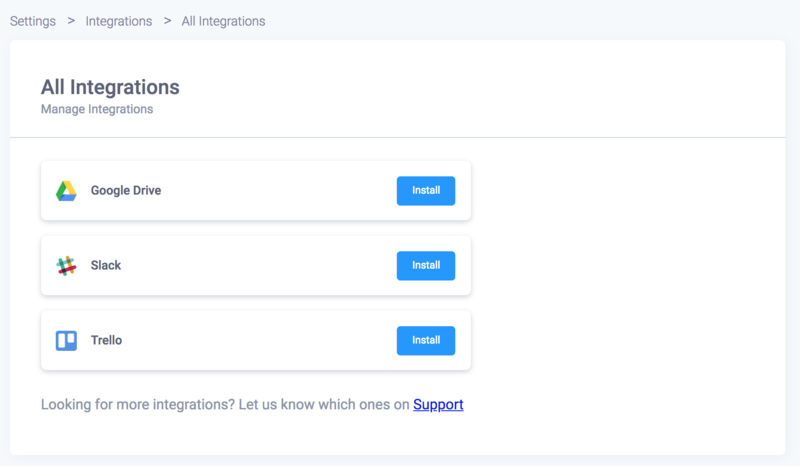 You will see Trello under All Integrations. Install it. If you don't see Trello, request access on support of chat and we will enable it. Each meeting has to be connected to a Trello Board. You should see "Connect to Trello" under meeting context menu. Click that and select a Trello board to connect the meeting to. Note that you will have to repeat this step for every meeting you want to sync action items from. You can sync action items from your meeting into the connected Trello Board. Just click the Trello icon on top right of the meeting and choose "Sync Actions"
Thats it! Your action items should start showing in the Trello board's first list and you can move them around to your liking.